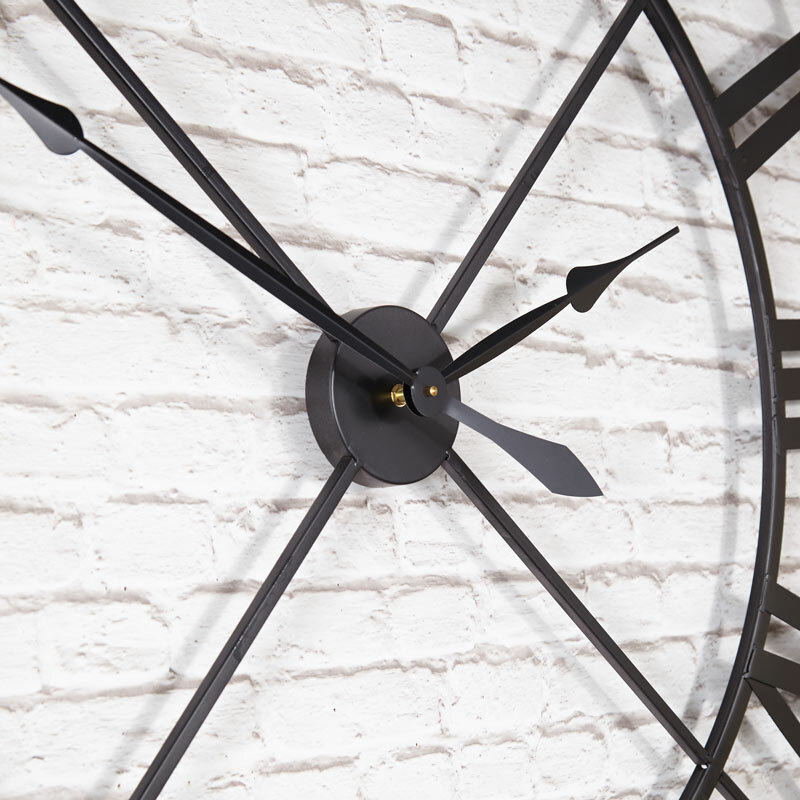 This extra large, wall mounted, black skeleton wall clock is the perfect for any home regardless of interior style, suiting homes with a modern and contemporary flare to a most rustic and industrial styled home. 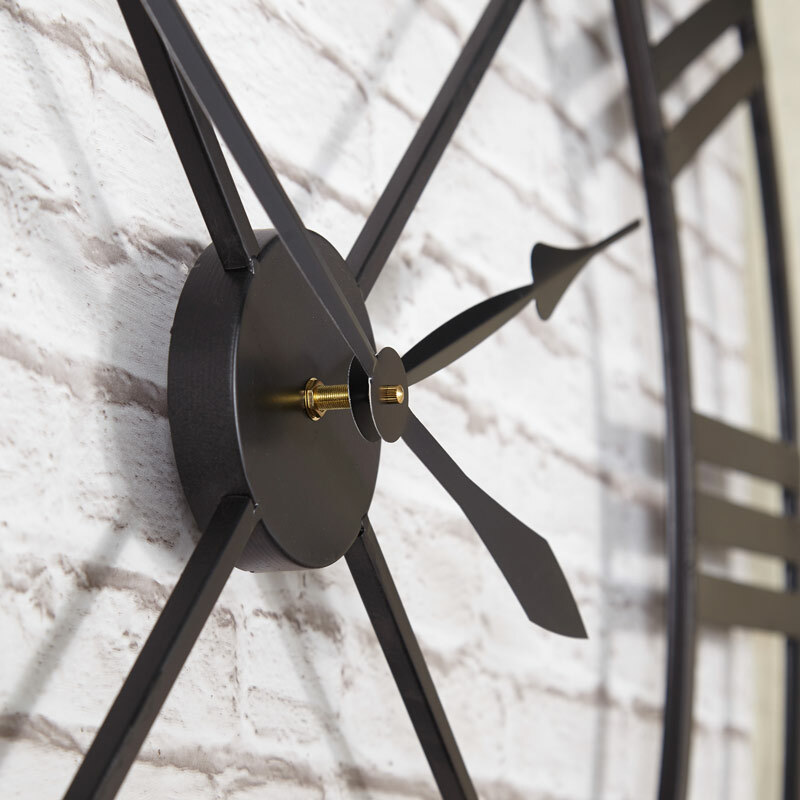 A clock to make a statement in your living room above the mantelpiece or in the hallway. This clock would also be a focal point in your kitchen, providing the space is available. 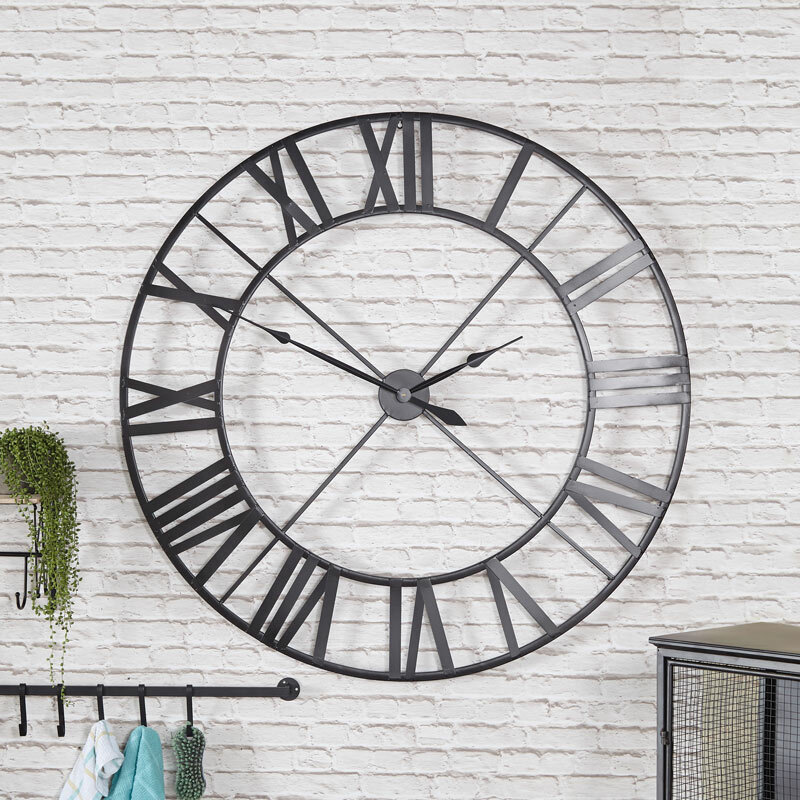 With large roman numerals this clock will help to ensure you are always on time! Made from metal in a black painted finish. Easily wall mounted with a hook on the back for hanging. Takes x1 AA battery. We have a superb choice of clocks to choose from. Wall mounted and freestanding in so many styles, design and colours, you are sure to find the one that is just right for you.